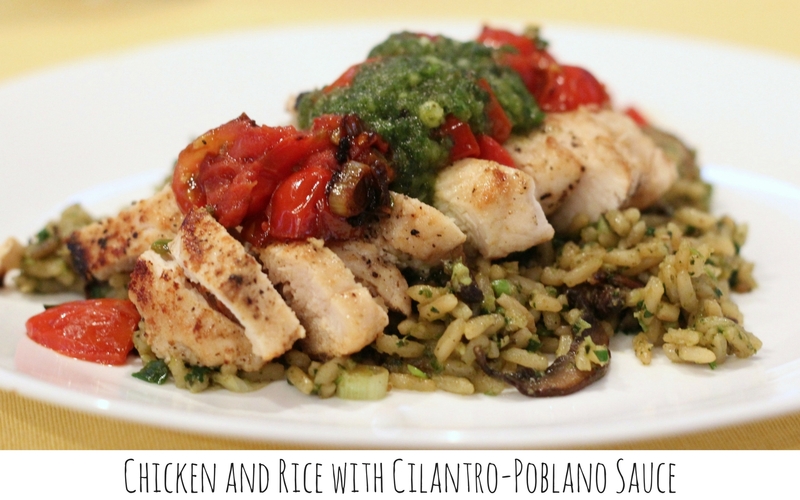 Chicken and Rice with Cilantro-Poblano Sauce. This delicious and flavorful recipe is from the June 2008 issue of Cooking Light. would have even fewer points if the chicken was grilled instead of sauteed.